More than a century ago, on a cold and blustery day in 1907, a ragged newsboy stood on the corner of Broad and High hawking his papers. “Paper! Paper! Get your paper,” he cried. From inside a restaurant, three men watched as people sped by the young boy, barely noticing him. The ge ntlemen felt sorry for the young man, brought him inside where it was warm, and took his papers with cries of, “It’s all for charity!” They sold every paper for as much as they could and sent the boy home with more money than he had ever seen, and enough to buy warm clothing. As the men walked away from street corner, they felt their excitement quickly fade as they realized how many other local school children there must be without proper clothing. With that, their new mission became clear. That same year, on the Sunday before Christmas, 50 businessmen took to the streets with a special edition of the newspaper to sell for charity. That day, the gentlemen raised more than $700 to clothe needy children and the Charity Newsies organization was born. The mission of Charity Newsies is that no child shall be kept out of school for lack of adequate clothing. Lack of proper clothes is a top reason children miss school. Wearing new clothes that fit properly helps a child’s self-esteem. Higher self-esteem improves a child’s chances of succeeding at school. 100% of those funds, every single penny, goes towards the purchase of new clothing for children in need. In 2016, $1.1 million was raised by Charity Newsies. In the 2017-2018 school year, Charity Newsies have clothed over 12,000 children. $150 will completely outfit a child with brand new clothing, including outerwear, undergarments, shirts, pants and shoes. Newsies volunteer their time by visiting each family who applies for clothing. 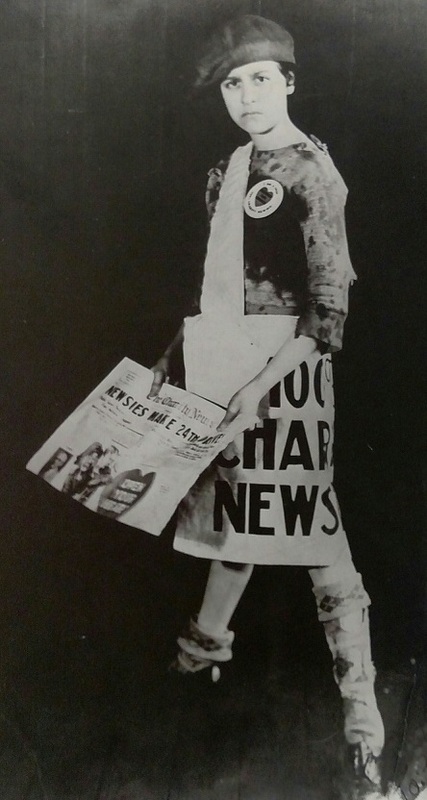 Charity Newsies was founded 110 years ago in 1907. 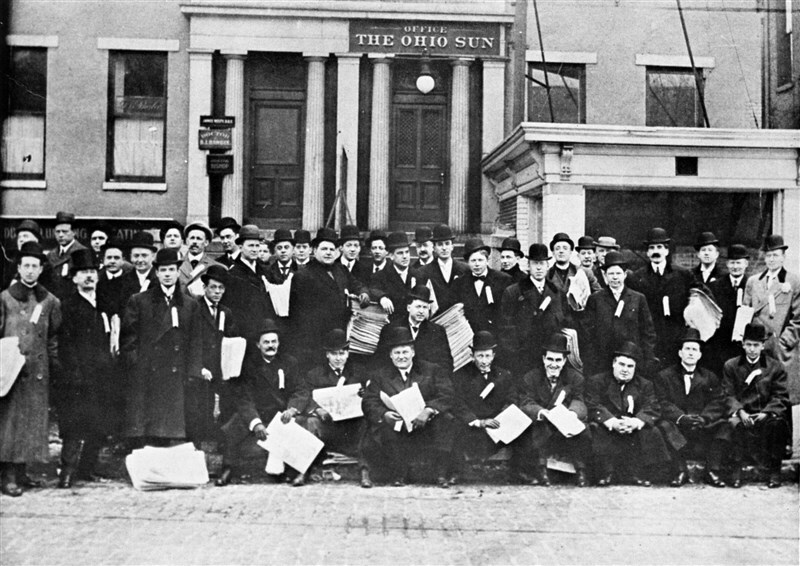 Every year on the second Saturday of December, our Newsies take to the streets selling a special edition of the newspaper for any amount people want to give. Newsies also collect contributions through the annual Kick-Off Auction and other activities during the year. Since its inception, Charity Newsies has helped more than 500,000 children in Central Ohio. Charity Newsies also helps clothe children affected by tragedies such as household fires.